Before using the NetInstall service, understand how it works and to learn about the four different types of NetInstall images. Before you begin using the NetInstall service it's a good idea to gain a basic understanding of how it works and to learn about the four different types of NetInstall images. During the course of this series we'll create basic versions of every type of NetInstall image and we'll also create images that incorporate some the NetInstall service's more advanced features. The NetInstall server acts as a repository for NetInstall images, hosts the NetInstall service, and delivers NetInstall images to NetInstall clients. NetInstall images are specialized disk images designed to be hosted on a NetInstall server. A NetInstall client is any Mac that is using your NetInstall server to install an operating system or application package, restore an image, or stream an operating system. In the previous episode we talked about the minimum requirements for using the NetInstall service. Now let's talk about the process a NetInstall service uses to stream an image to a client computer. Select one using the Startup Disk preference in System Preferences. Hold down the N key or Option-N keys when starting up your Mac. 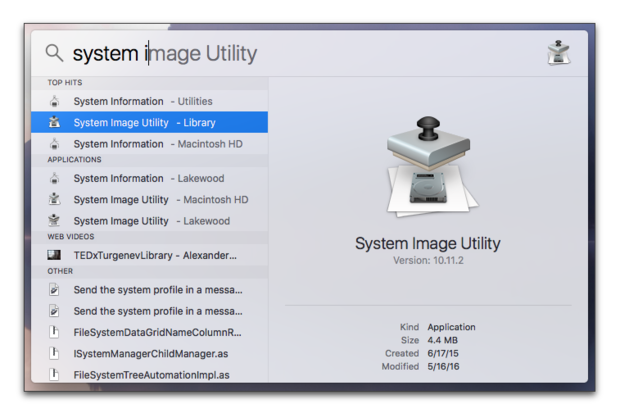 Hold down the Option key when starting up your Mac and select a NetInstall image. Selecting the NetInstall image using Startup Disk preference will start your Mac from that image the next time your Mac restarts. Holding down the N key starts your Mac from the last used default NetInstall image. 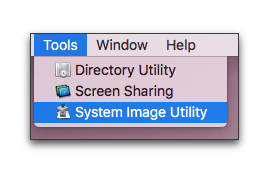 Holding down the Option-N keys starts your Mac from the server’s current default NetInstall image. Holding down the Option key lets you use the boot manager to choose the NetInstall image your want to boot from. Send a Network request for booter files using the Boot Service Discovery Protocol (BSDP) service. Use TFTP to download booter and kernel files. Use HTTP or NFS to download the NetInstall image. What happens next depends on the type of NetInstall image you've selected. 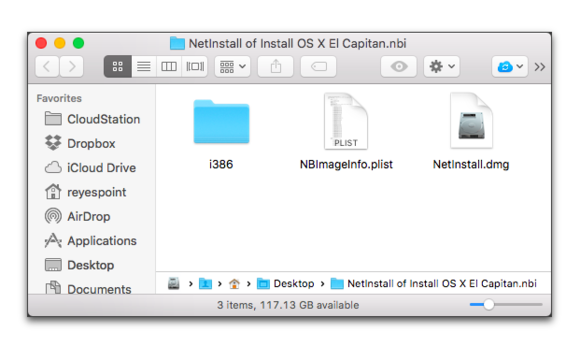 NetInstall images are folders with names ending with .nbi, containing a disk image, booter files, and configuration information. 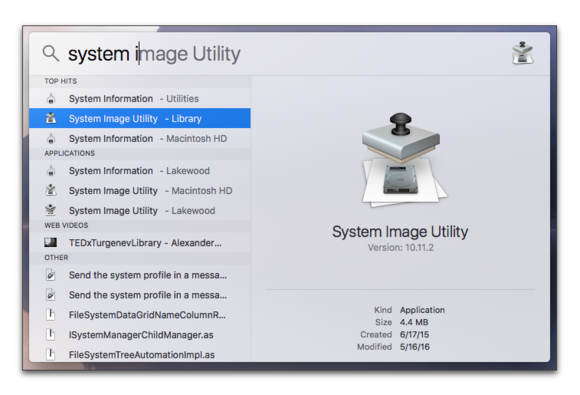 They are created using a tool called the System Image Utility, which you'll find using Spotlight, navigating to the /System/Library/CoreServices/Applications folder, or by selecting it from the Tools menu when you have the Server App open. 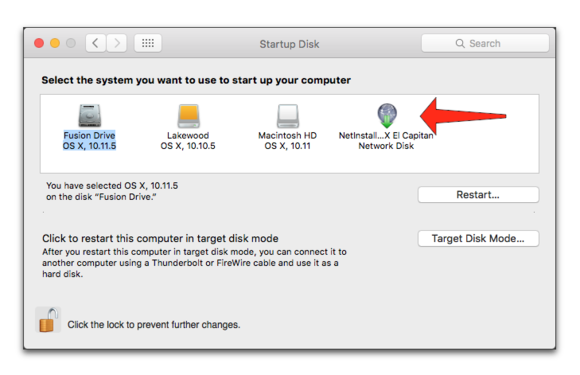 NetInstall images are a special kind of disk image, similar to what you might create using the Disk Utility, that makes it possible to boot your Mac up using a network connection rather than a local hard drive. 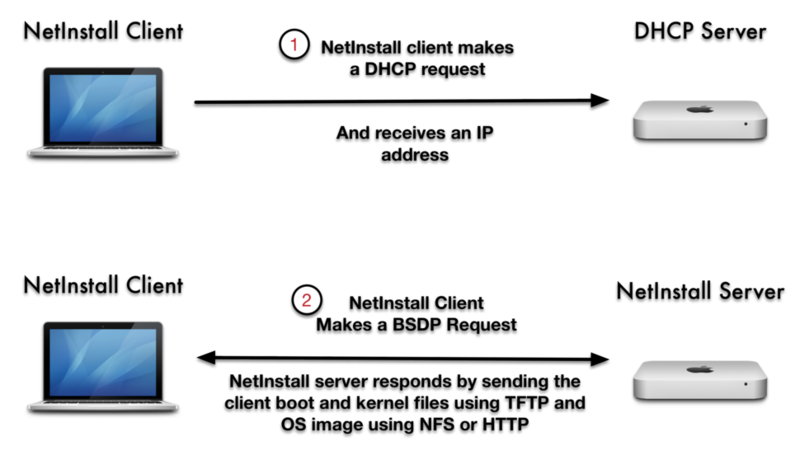 (More on using the System Image Utility to create an image later.) There are four types of NetInstall images. NetBoot Image: Lets you start one or more Macs using an operating system that is hosted on your NetInstall server. NetInstall Image: Lets you run an OS installation from an OS X installation disk hosted on your NetInstall server. NetRestore Image: Lets you replace the entire contents of a Mac's hard drive based upon an image you've taken from another computer. NetRestore images contain all the settings and applications found on the original image. NetInstall image without an operating system: In addition to an OS NetInstall image, you can also create NetInstall images that install applications, such as Microsoft Office, MDM Profiles, and run command line scripts. Next lesson: We'll create our first NetInstall image and turn on the NetInstall service.